The Russian Direct Investment Fund (RDIF), Russia’s sovereign wealth fund, and Turkey Wealth Fund (TWF) announced the creation and launch of the Russia-Turkey Investment Fund during Turkish President Recep Tayyip Erdoğan’s visit to Moscow on April 8. “At the initial stage the investments in the funds’ projects will amount to 200 million euros. 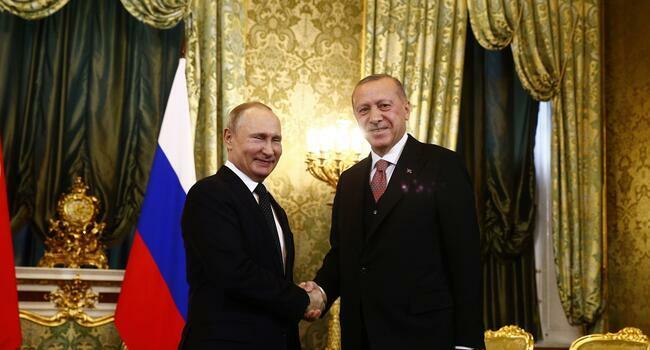 The total size of the Russia-Turkey Investment Fund is 900 million euros,” the RDIF said in a statement, adding that the corresponding agreement was signed in the presence of Erdoğan and Russian President Vladimir Putin.